Mint, One Owner, Premium >>Power Sunroof, Rear Camera, Heated Seats<< Only 26k Miles! 2017 Subaru Crosstrek 2.0i Premium,Sunroof,Rear Camera,Heated Seats! Mint Condition, One Owner, AWD, POWER SUNROOF, REAR CAMERA, BLUETOOTH, TELEMATICS, Only 27k Miles, CARFAX / AUTOCHECK and STATE CERTIFIED with BUYBACK GUARANTEE, Automatic, Loaded w/ Power Options, HEATED SEATS, MIRRORS, BRAKE ASSIST SYSTEM, SMART DEVICE INTEGRATION, STEERING AUDIO CONTROLS, Alloy Wheels, MP3 Satellite Compatible Radio, STILL UNDER FULLY TRANSFERABLE FACTORY WARRANTY... There's a lot to like about the Subaru Crosstrek. It offers standard all-wheel drive, a fuel-efficient four-cylinder engine, and a roomy interior and cargo area. If you're an outdoor person and you don't like trucks or tall SUVs, or you live in snowy, slippery winter weather, it's a compelling choice. At its core, the Crosstrek is a more rugged version of the Subaru Impreza, with a beefed-up suspension, higher ground clearance and trail-ready styling. , It is comfortable and efficient in many respects. It delivers a smoother ride than its high stance suggests, and its seats are reasonably accommodating. It offers a decent amount of head- and legroom front and rear. The cockpit is adjustable enough for the driver to settle into a comfortable position that gives a good view of the outside. 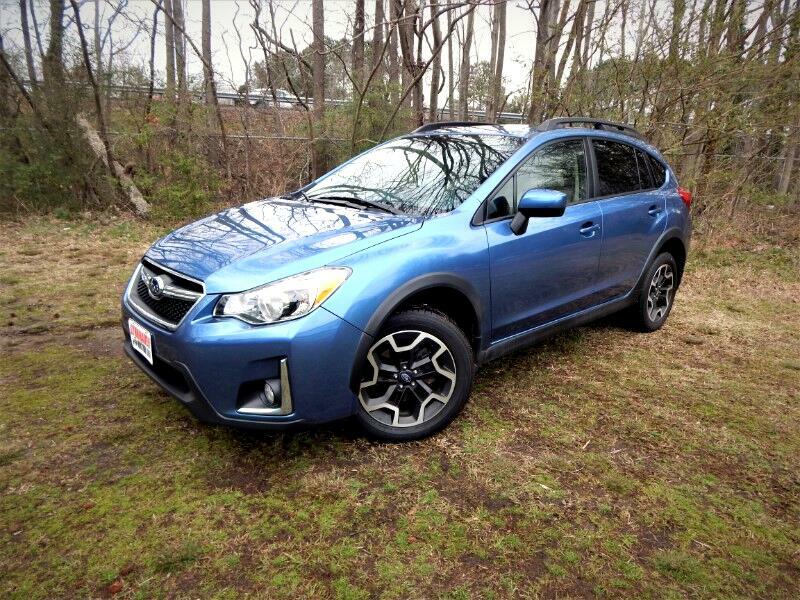 Proven a reliable brand, this Subaru will be fun, adventurous, and safe to drive for all family uses. Vehicle Inquiry for 2017 Subaru Crosstrek 2.0i Premium,Sunroof,Rear Camera,Heated Seats! Trim: 2.0i Premium,Sunroof,Rear Camera,Heated Seats! The Manufacturer’s original warranty has not expired on the vehicle. Please ask your sales representative & consult the manufacturer’s warranty booklet for details as to warranty coverage, service location, etc. The dealership itself assumes no responsibility for any repairs, regardless of any oral statements about the vehicle. All warranty coverage comes from the unexpired manufacturer’s warranty. This vehicle also qualifies for extended coverage of up to 5 additional years or 100000 miles on the odometer (whichever comes first) through a national plan at an additional cost. This is national coverage with roadside assistance and is honored by the franchised dealer service departments. See your sales representative for details, exclusions, limitations, and a brochure describing the coverage.